Horticulturists spend countless hours and vast sums of money to ensure their plants receive all they need throughout the growing cycle. After months of hard work and substantial capital investment, a grower needs to use care so his or her harvest does not spoil due to inadequate storage or preservation. Many gardeners underestimate the importance of properly preserving the harvest. One of the main reasons why fruits, vegetables, and herbs spoil is oxygen. Simply placing the harvest in an airtight container will help limit its exposure to oxygen and slow the rate at which the produce will spoil. Some fruits and vegetables will require further preservation, such as refrigeration or freezing. The combination of removing the product from excess air along with freezing or refrigeration significantly extends the overall shelf life of many fruits, vegetables and herbs. When working with dehydrated products, such as dried culinary herbs, the most important aspects of preservation are removing as much oxygen as possible and keeping the product away from other factors that will diminish its quality, such as sunlight and heat. The folks at True Liberty® Bags have always been serious about preservation. Their extensive line of various sized storage bags is perfect for holding dried herbs, fruits, vegetables, or just about anything else a gardener wants to preserve or contain. In addition to their industrial quality line of storage bags, True Liberty® has created the ultimate tool for long-term preservation: a vacuum sealer that increases shelf life. Now gardeners can vacuum seal any True Liberty® Bag. Consistent with the True Liberty® brand, the newly released True Liberty® Vacs Gas-Purge Vacuum Sealer is both industrial strength and of the highest quality. The unit has an air compressor powered impulse seal arm and retractable nozzle manufactured to stand up to an industrial level production facility, and works in just seconds compared to any standard household vacuum sealer. True Liberty® Vacs first performs a gas purge, and then extracts the air out of the bag, and finally, the heat impulse sealer creates an airtight seal for long-term storage. The gas-purging feature removes oxygen in exchange for an inert gas of the gardener’s choice, for example, argon or nitrogen. The unit comes complete with a vacuum filter to ensure the vacuum pump remains free of any dirt or debris. 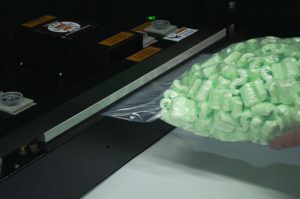 Once the machine is finished purging the air and inert gas from the bag, the nozzle retracts and a grower is left with a leak-proof, 1/4” wide seal. The True Liberty® Vacuum Sealer removes all the oxygen that would otherwise deteriorate a gardener’s product over time. Removing the oxygen from the storage container will greatly increase its shelf life and will also preserve the quality for an extremely long period of time. 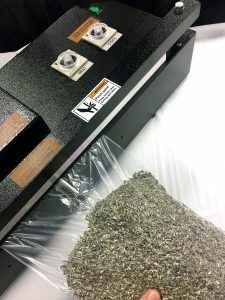 Any gardener looking for a serious long-term storage solution for their product should invest in a True Liberty® Vacuum Sealer with the gas-purging option. 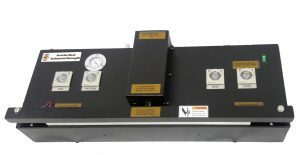 The gas-purging feature can also be turned on or off, allowing a horticulturist to use this model as a gas-purging unit or as a vacuum-only sealer. True Liberty® Bags amazing ability to be completely sealed provides additional benefits to horticulturists. True Liberty® Bags are so strong and leak-proof that they can easily be used to store liquids as well as solids. The powerful tinsel strength of the food-grade nylon material used in True Liberty® Bags also works as an effective odor barrier. Simply put, no odors will escape from a True Liberty® Bag. With True Liberty® Bags a horticulturist can rest assured that odors will remain sealed and locked in where they belong. To further reduce their global impact, the True Liberty® team makes every effort to use recycled materials for all print media, including marketing materials, product packaging and shipping cartons. Additionally, True Liberty® uses soy-based inks for printing. These inks contain fewer volatile organic compounds, further reducing the company’s environmental impact. The True Liberty® team also utilizes digital files for their affiliates and clientele. This conscientious choice saves time, space, energy and, most importantly, reduces the overall impact on the environment. Unfortunately, it is no longer commonplace to find products that are made in the U.S.A. and are produced by companies who view environmental consciousness as a priority. In addition to the full line of bags that come with a 100% satisfaction guarantee, all True Liberty® Vacs are manufactured in the USA and come with a one year warranty. That is why, when you do find a company like True Liberty®, it is a refreshing reminder that environmentally conscious companies can create outstanding products right here in the U.S.A. A horticulturist who wishes to better preserve his or her harvest can easily achieve this with the use of the True Liberty® Vacuum Sealer and True Liberty® Bags. For serious growers looking for long-term storage, the True Liberty® Vacuum Sealer with the gas-purging option provides the ultimate solution. The True Liberty® line up allows a gardener to lock in the freshness of his or her harvest to be enjoyed weeks, months, or even years down the road. Simply put, there is no long-term storage solution that can so easily preserve a harvest like the True Liberty® Vacuum Sealer and True Liberty® Bags. For more information call 888.800.2680, email info@truelibertybags.com or visit TrueLibertyBags.com.